TS Easy Print technology was first introduced in Windows Server 2008 as an alternative to the use of traditional printing subsystem on Remote Desktop servers. 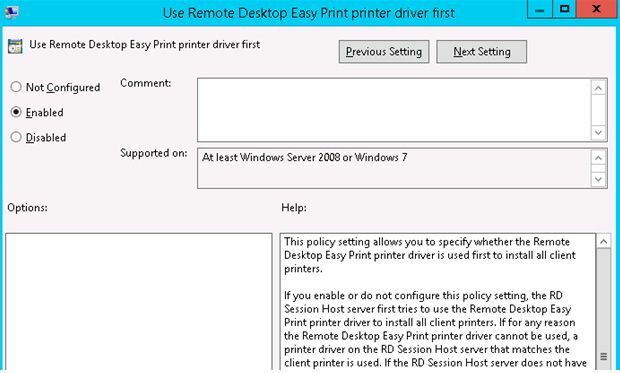 Remote Desktop Easy Print avoids the installation of drivers for the redirected printers on a terminal server and allows mapping of client redirected printer to the Easy Print driver. This significantly increases the stability and performance of work of the Print Spooler service and RD server as a whole. Easy Print functionality is based on the specifications defined in the standard XPS (XML Paper Specification) for printer’s drivers. The main advantages of XPS format: open document format, portable and independent from the hardware platform, low requirements for channel bandwidth (through the use of more lightweight XML standard). XPS print job through an RDP session are transferred to the client PC and processed by a local print driver. 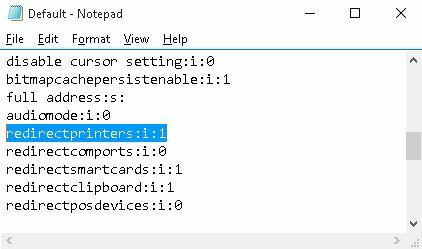 Easy Printer Driver is installed on the server when you deploy Remote Desktop Services role, and in the printer list appears a new printer named Microsoft XPS Document Writer. 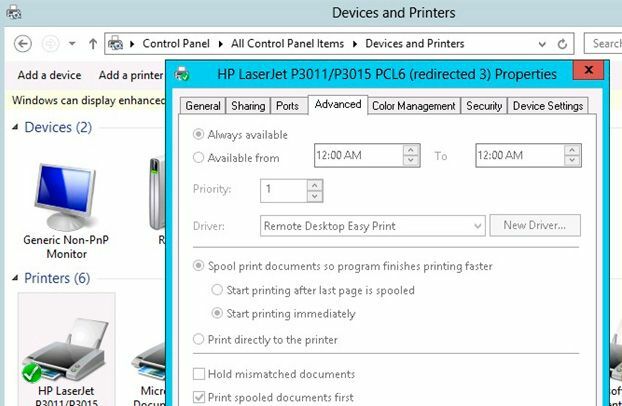 This print driver supports a variety of printer models. 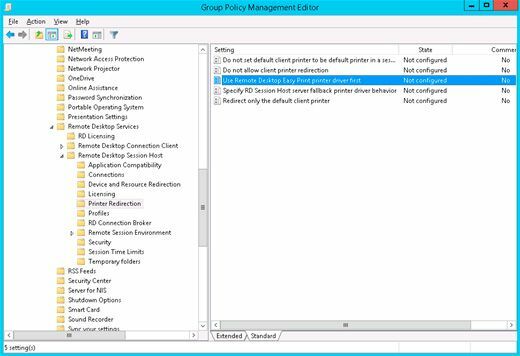 You can enable the Easy Print on the side of RDS server running Windows Server 2012 R2 only via Group Policy. Tip. If the client doesn’t support Easy Print driver, RDS server looks for a matching printer driver on RD server. parameter MaxPrintersPerSession and set it value to the desired maximum number of redirected printers. 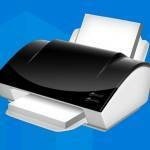 For better performance, you can redirect only one default printer from clients PC. In this case, enable the policy named Redirect only the default client printer. 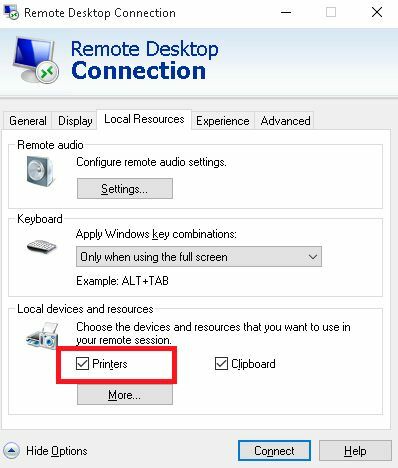 Thus, by using the Easy Print greatly simplified configuration of Remote Desktop servers. Another thing is that the Administrator will no longer need to install the same printer drivers on the server and the local computer. Are there any new requirements to make Easy Print work in Windows Server 2016? We are having some issues where the local default printer isn´t automatically set as default on the RDS server. Even with the Easy print GPO enabled.